Does your child suffer from sleep apnoea? Here’s how to recognise the symptoms of sleep apnoea in your child. We all know a good night’s sleep can do wonders for the body and mind. But what if you knew going to sleep just meant you’d be woken again -- sometimes hundreds of times -- throughout the night? That’s exactly what life is like for the 4.4% of Australians affected by sleep apnoea, according to the Medibank Better Health Index. Obstructive sleep apnoea is a common sleep disorder which occurs when the throat muscles relax during sleep, blocking the airway and making it impossible to take a breath. It’s from this lack of oxygen to the brain that those affected are prompted to wake up and gasp for breath. While more prevalent in males, sleep apnoea can affect anyone at any age -- including children. 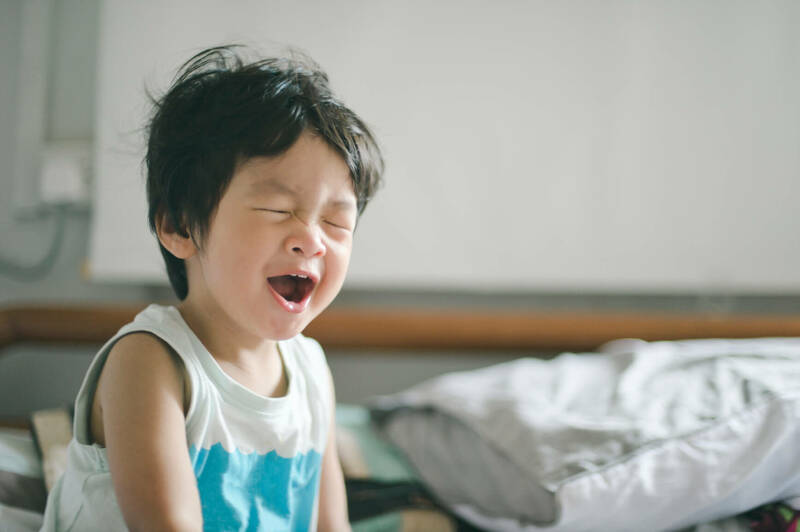 The symptoms of sleep apnoea in children are not always noticeable -- particularly if you don’t know what they are -- which is why so many cases aren't diagnosed right away. If your child has sleep apnoea, they'll snore and toss and turn during the night. You will also be able to see pauses in their breathing, which may end with them gasping or choking as they start to breathe again. It's worth noting though, that while snoring is a common symptom of obstructive sleep apnoea, not all children who snore have this condition. While children may not experience daytime sleepiness like adults with the condition--they may experience tiredness in the morning, have a poor appetite, find it hard to concentrate and may even have behavioural problems, such as aggression and hyperactivity or learning difficulties. All of these could affect their performance at school as well as their ability to create relationships with friends. Children who are obese or have large tonsils or adenoids have a higher risk of developing sleep apnoea. However symptoms are also seen in kids with allergies, or who have certain facial attributes, like a small or receding jaw, or cleft palate. The good news is that with appropriate care, sleep apnoea symptoms can be treated. So if you’re even slightly suspicious that your child may suffer from the condition, get it checked out by a GP straight away, so that both you and your child can sleep easy at night -- with no interruptions. Read more on how a bad night’s sleep can affect your health.